competition and intellectual property: general rules, main cases and safety zones. 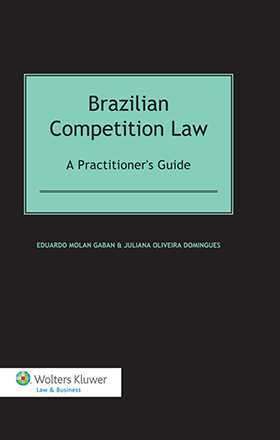 Offering to practitioners, policymakers, researchers, and academics a complete guide – grounded in case law, doctrine, and international experience – to how the Brazilian antitrust regime works, its trends and developments, this book is an important contribution to competition law both in theory and in practice. It is sure to be warmly welcomed. Part I. Brazilian Competition Policy: History, Basis, and Focus. Chapter 1. Brief History and the Evolution of the Brazilian Competition Policy under the International Experience. Chapter 2. The Methodology for the Antitrust Analysis in Brazil. Chapter 3. Control of Structures (Merger Control). Chapter 4. Control of Behaviours (Antitrust Violations). Part II. Global Competition Policy . Chapter 5. In the Multilateral and International Plan. Chapter 6. Bilateral, Regional, and National Scopes. Part III. New Tools, Trends, and Challenges. Chapter 7. Tools and Incentives Available for Evidence/Proof Collection. Chapter 8 . Private Damages. Chapter 9. Competition and Intellectual Property (IP).